There’s no shortage of things to do in Paris for travelers, it’s one of Europe’s most visited cities and its attractions and monuments have thousands upon thousands of tourists coming each year to capture a selfie with the Mona Lisa or post with the Eiffel Tower. Trip4real, the peer to peer startup that’s making waves around Europe (having recently been named one of Europe’s hottest travel startups!) has expanded into Paris. It’s aim is to connect travelers from all over with local people from a city. Why? 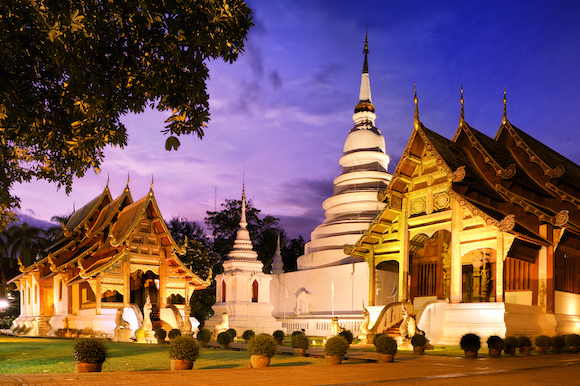 Because isn’t travel all about getting a little closer to a distant culture? So now visiting Paris with local insiders means you can find the hidden gems in the city that’s full of the usual tourist traps. Why not take the time to go off the beaten path and try something a little different? Who knew Paris had a forest? Having a picnic in a forest, near a castle where the kings of France once lived does sound like the most idyllic thing in the world. And it probably is. 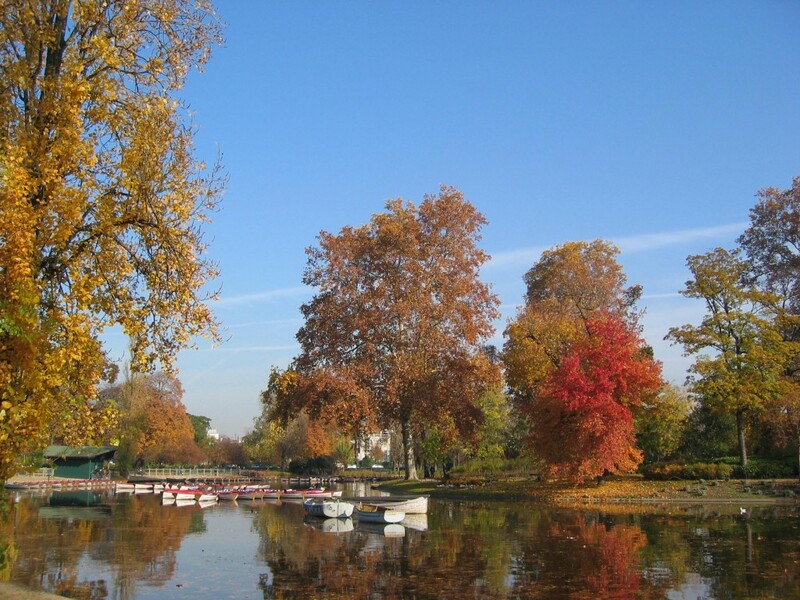 Take yourself with insider Loreto to La Bois de Vincennes, known for its natural beauty and wonderful verdant greenery. Next to the forest is the impressive and regal Chateau de Vincennes, home to former royalty of France. A little class during one’s picnic is never a bad thing, right? Allons-y! 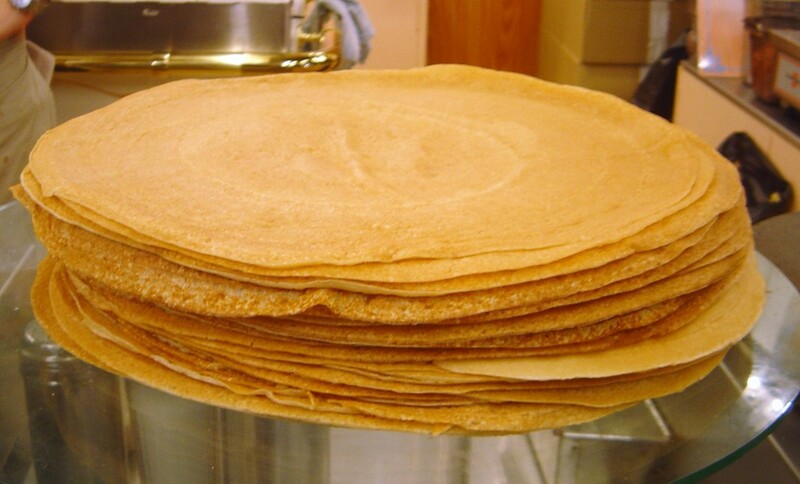 Crepes. Delicious, delicious crepes. Crepes are always a good idea. Whether full of luxuriously melted chocolate and strawberries or stuffed with cheese and ham, these light pancakes are an absolute delight. Thank you France. Cuisine plays an important role in any culture so why not learn to indulge a little by taking a class with Leroy, crepe master? After all, it’s one skill that will definitely help you should you be stuck for dinner ideas. You’ll be one step closer to being Parisian. Voilà. Shopping in Paris is a serious thing. You have all those world renowned brands whose home is found within the city of light. Chanel, Louis Vuitton, Dior, Yves Saint Laurent… you’ve heard of them all before. And, frankly, who really has the kind of money to shop in such opulence? That’s where thrift stores come in. Paris is full of them and taking a tour of its various flea and vintage markets is something that every traveler should do. And, hey, you might even find a Chanel for a fraction of the price. Not bad, huh? It’s true. Paris is full of art. It’s the birthplace of one of the most famous art movements of the 20th century, Impressionism, and the works of Monet, Renoir and Cézanne can all be found within the famous museums of Paris. But, it’s always fun to go and discover really cool, up and coming art in the city. In Le Marais neighborhood, there’s galleries galore that house art that you won’t find in the typical museums. A private tour of this neighborhood with a local art aficionado like Victor is something that will take you to new levels of culture. A must. 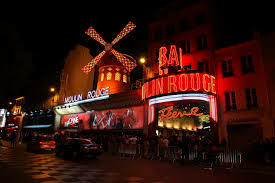 One of the coolest things to do in Paris is heading out with a local who will show you their favourite bars. Bars you never thought existed. Le Comptoir General, for example. A brilliant bar but unknown to many travelers, a local’s secret, if you will. Yannick, a local from trip4real, invites travelers to join him and his friends for a journey through Paris’s nightlife. 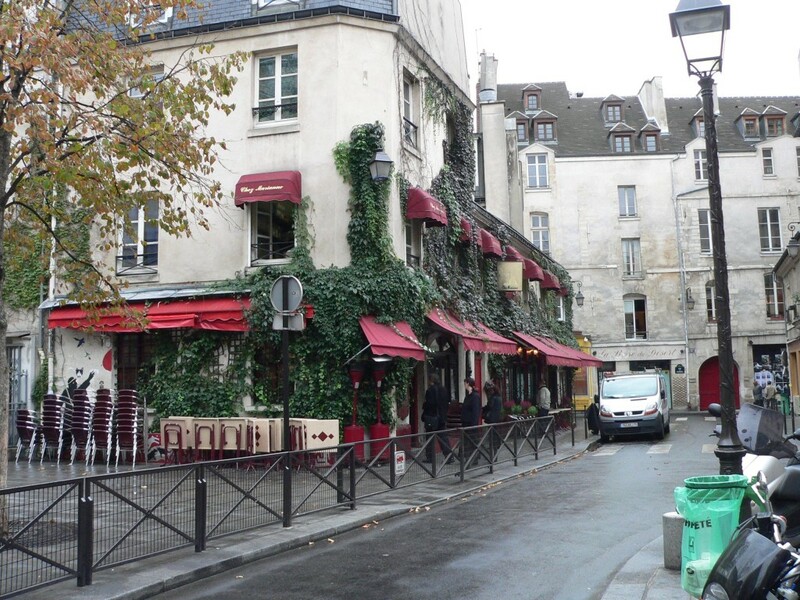 Discover neighborhoods, learn about the history of Paris, enjoy the flowing conversation and have a few glasses of wine. You’ll leave Paris feeling more local than when you arrived. A good plan, certainly. And that’s only a few things to do in Paris for travelers. Truly off the beaten path, one of a kind experiences that you’d definitely want to tell your friends about. And who said Paris had to just be the Arc de Triomph and Le Louvre? 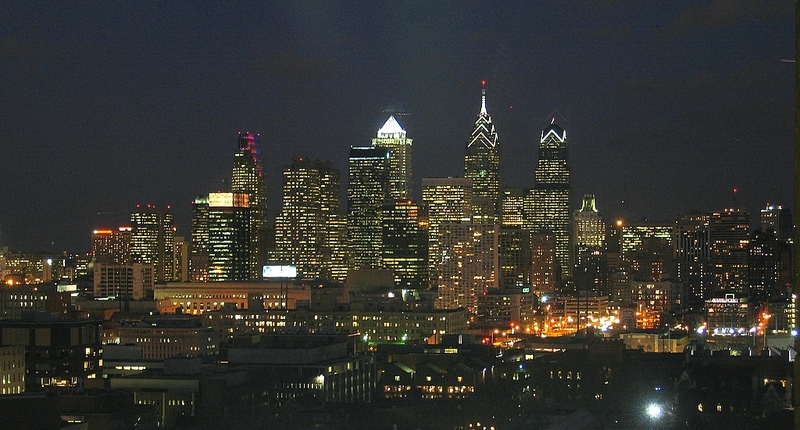 The New York Times named Philadelphia one of its 52 places to visit in 2015. The City of Brotherly Love garnered the No. 3 spot thanks to recently finished outdoor urban projects, new family-friendly attractions and fun 2015 events, making this U.S. city one of the best for families to travel to this year. So as you plan your East Coast family trip, here’s some advice — give yourself plenty time to play and sightsee. There’s a lot of new to see and do in Philly this year, and below are some of those attractions and events you’ll want on your itinerary. Indego is Philadelphia’s bike share program. The program launched in April and has been drawing in cyclists of all ages since opening. More than 600 bikes are available for rent at more than 60 stations throughout the city. Simply go up to a station kiosk, buy your trip, pick out your bike, ride around the city and then return the bike. There’s no easier or more fun way to get out and see what all this beautiful city offers. From July 1-October 31, the place to spend your Philly nights is at Longwood Gardens. Local Philadelphia artists Klip Collective is putting on an extraordinary show, Nightscape: A Light and Sound Experience. Amazing imagery and colorful lights choreographed to original music mesmerize your eyes and take you on an evening journey with the help of the city’s landscape as its natural backdrop. Make it an even family-friendlier night by attending on July 15th or August 19th, which are Family Nights complete with enjoyable kid activities and visits with staff through other parts of Longwood Gardens. Don’t be late to celebrate one of the most beloved literary classics of our time. This fall marks the 150th anniversary of Lewis Carroll’s book, and The Rosenbach of the Free Library of Philadelphia is paying tribute with exhibitions and programs exploring this children’s tale starting October 14th. Take your family down the rabbit hole as you discover things about the Alice in Wonderland characters and stories behind the story you never knew. New to Philadelphia’s family-friendly amusement park this year is Laff Trakk. Hersheypark’s newest coaster, which gives the park a total of 13 now, is the first indoor, glowing and spiraling roller coaster in the U.S. Assembled inside a house of laughs, you and your family will spin and fly past a house of cards, a hall of mirrors and vibrant characters, all within the fun but safe speeds of 40 mph. The Franklin Institute continually provides family-friendly fun with events and exhibits, but this year it’s bringing your favorite childhood toy to life with its The Art of Brick exhibit. Contemporary artist Nathan Sawaya assembled more than 100 creations from more than 1 million LEGO bricks depicting human emotion, interpretations of famous works of art and even a Liberty Bell — an exclusive creation just for the Philadelphia gallery. This colorful exhibit, a top 10 must see according to CNN, runs through September 7, so don’t miss your chance to enjoy seeing the building blocks you enjoyed as a child and your kids currently still enjoy displayed as life-sized animals, people, art pieces and more. With two floors, 26 lanes, video games and an oversized kitchen, who wouldn’t want to spend a family afternoon or night here? Open every day of the week, with Happy Hour Bowling on Monday-Friday from 4-6 p.m., South Bowl is a real Philly crowd pleaser. The numerous lanes, great prices and fun atmosphere are all known, while the hidden gem of South Bowl is its menu. Your normal bowling alley foods, like wings and burgers, make the cut, but this kitchen gives you even tastier options. So if you get a craving for Korean fried chicken, lamb sliders, fried calamari or wood oven pizza, your cravings can instantly be satisfied. This bowling alley sends the entire family home happy. With everything that’s happening in 2015, there are more than enough reasons for first-time visitors to grab a Philadelphia hotel room and for return visitors to jump at the chance to come back again. Posted on 17 December 2014. For all of us in the Northern Hemisphere, winter has fully installed itself – with snow, rain and cold weather. While some of us may like this kind of “wintery atmosphere” and while bad weather may be more “traditionally Christmas-like” (or at least for people living in temperate climates), a lot of people would gladly escape the nastiness of winter and run to a place where warmth and parties never end. 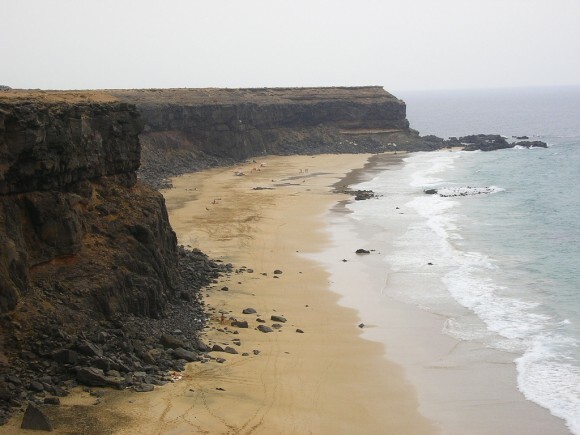 Fuerteventura may be precisely what you are searching for. With so many holiday packages in Fuerteventura to choose from, the idea of going there in the middle of the winter will be genuinely appealing – and even more so considering the fact that these holidays are quite inexpensive as well. Why is it that Fuerteventura is such a great travel destination and why is it that tourists flock to it every year, regardless of the season outside? Read on and find out more. The Canary Islands (and, implicitly, Fuerteventura too) are absolutely spectacular from the point of view of the landscape they offer. If you are a photographer or if you simply like soaking into the sea of beauty this kind of places provide their tourists with, you will love Fuerteventura. In fact, it is quite likely that your love for Fuerteventura will turn into a long-term relationship because once you get a taste of this, you will surely want to return. And as if Mother Nature hadn’t been generous enough with the people living on this thin strip of Heaven on Earth, Fuerteventura can pride itself with a rather spectacular zoo as well – the Oasis Park Fuerteventura. It is definitely worth visiting, and even more so if you plan on coming here with children! It is nearly impossible to get bored in Fuerteventura because the place is sprinkled with little wonders – all of which are beautiful and worthy of attention in their own way. Iglesia Catedral de Santa Maria de Betancuria is just one of the beautiful churches in the area – and it is one you will love both for the architecture and for the way it seems to blend perfectly into the “background” as well. Also, if you do manage to get to Fuerteventura, don’t forget about the Dreams House Museum – a museum dedicated entirely to the adorableness of toys and to the high attention to detail both toys and car/ship models are created. 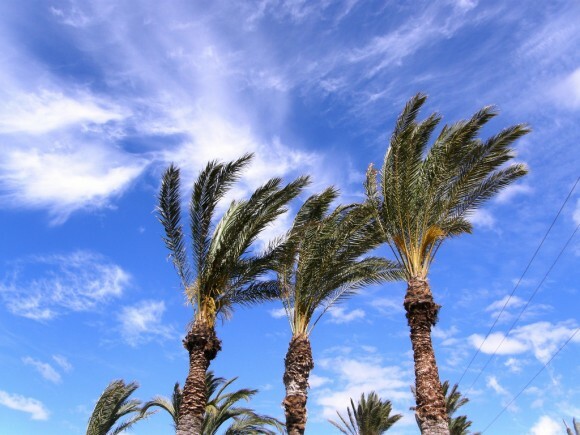 All in all, Fuerteventura can provide you with the perfect escape from the winter. With a milder weather and with the perfect holiday atmosphere at the same time too. this small spot on the Canary Islands is the kind that will haunt you forever! One of the most exciting but underrated cities in the country is Jamaica, New York. Located in the New York borough of Queens, Jamaica is full of diverse cultures. This eclectic mix of ethnicities makes Jamaica a really special place to live as well as to visit. The city has enthralling entertainment, historical landmarks, important museums, beautiful parks, and athletic opportunities. 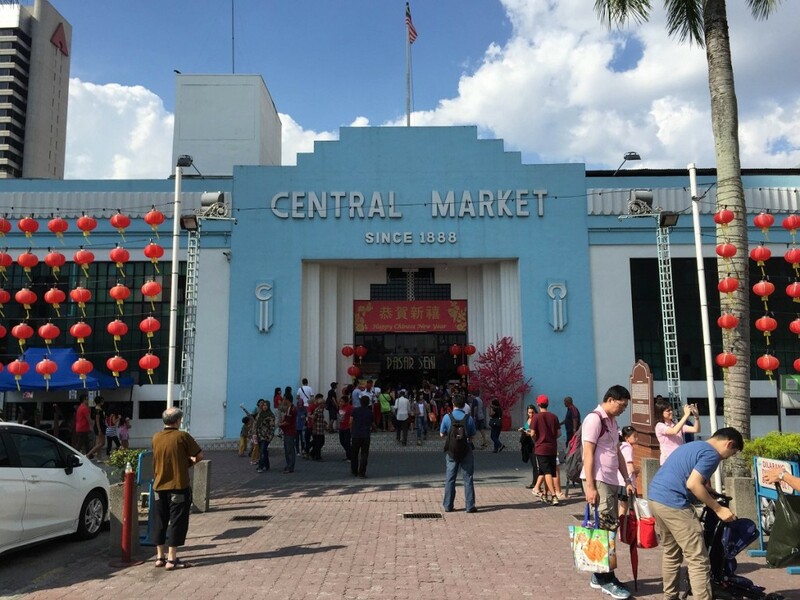 If you haven’t been to this lesser-known city, here are some of the things that you don’t want to miss for much longer. 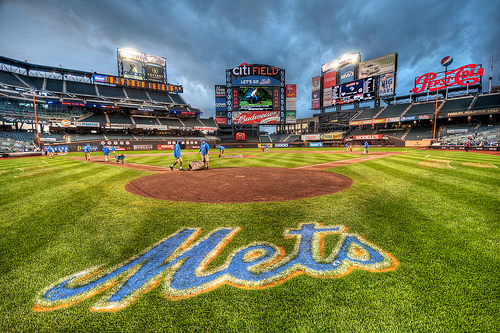 Citi Field, home to the much loved New York Mets Major League Baseball team, is located right in Jamaica. You can find high quality hotels close to the stadium with reasonable rates on Hipmunk.com. Try the Sleep Inn JFK Airport. In addition to giving visitors the chance to watch riveting games, Citi Field is known for serving healthy and delectable fare, including the Blue Smoke barbecue pit beans, veggie burgers, and vegan pizza. If playing sports is more your thing, Jamaica also offers plenty of opportunities to be active while on vacation. Families can enjoy the Briarwood Playground together. The Detective Keith L Williams Park features a large outdoor swimming pool and immense deck area, which is ideal if you’d rather relax while your travel companions swim up a storm. The West Side Tennis Club welcomes visitors, and the Kissena Golf Course, Spring Golf, and the Forest Park Golf Course all offer pristine settings for a round of 18. The Lexington Inn JFK Airport and the Linden Motor Inn are both near the Forest Park Golf Course if you want to stay near the action. There are also plenty of free and reasonably priced cultural attractions in this lovely metropolis. 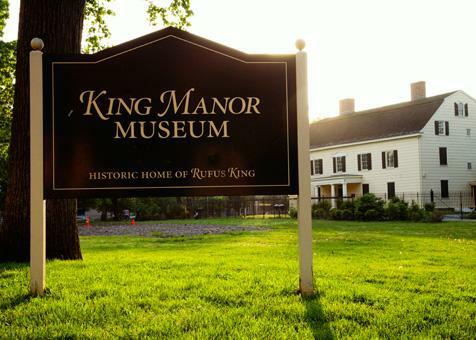 The King Manor Museum in Jamaica gives tourists of all ages the chance to explore the history of the United States, including the Constitution and the Civil War. At this museum, archaeology reveals what life was like in the 1800s, and special events are held here throughout the year. Other museums in and near Jamaica include the Queens Museum, the Queens County Farm Museum, and the New York Hall of Science. Jamaica is also known for its variety of fantastic restaurants. Cheap Jamaica hotels like the Fairfield Inn New York JFK Airport and the Courtyard by Marriott JFK Airport have on-site restaurants. The Bistro at the Courtyard by Marriott offers breakfast, lunch, and dinner, while the Mediterranean Grille at the Fairfield Inn offers delicious American dishes for lunch and dinner. Other must-taste fare can be found at the Smile of the Beyond, Annam Brahma, Kumarans, and Rose Valley Cakes. Do you know any other fascinating areas of Jamaica? I’m trying to build an ultimate resource on things to do in Jamaica, New York. If you’ve been to this thriving area of Queens, please add your thoughts and other tips below. Author Bio: Robin Raven has a passion for traveling the world, and she has written about travel for such sites as Yahoo!, Hipmunk, and USA Today. As a travel writer and editor, Robin likes to meet new people and animals every chance she gets, and she loves trying the vegan food in any city. She blogs a book set in the picturesque area of Gulf Shores at 100WeeksofWonder.com. Monterey Bay on the coast of California stretches from Santa Cruz in the north to Monterey in the south. The distance between Santa Cruz and Monterey is about 43 miles, and the drive between the two cities can theoretically last as little as 47 minutes. If you stop at the places of natural beauty and historical interest along the route, the drive will take a few hours. The 100-year-old artificial Antonelli Pond in Santa Cruz and the surrounding riparian zone are a breeding ground for great blue herons, egrets, raptors, deer, raccoons, and coyotes. If you want to spend time fishing or exploring the pond’s walking paths, Hipmunk has economical rates at several Monterey hotels in the area. 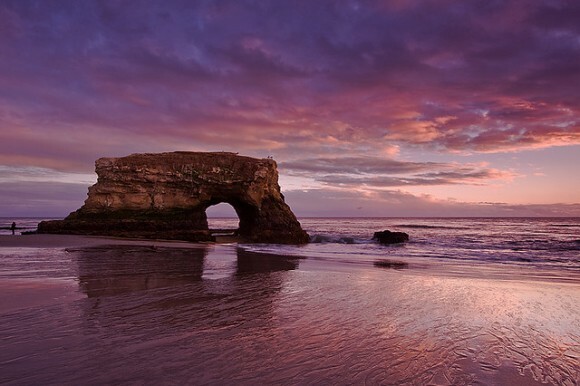 There is one remaining natural bridge on Natural Bridges State Beach. A grove of eucalyptus trees on the beach is home to the Monarch Butterfly Nature Preserve. As many as 150,000 monarch butterflies spend the winter in the trees every year. 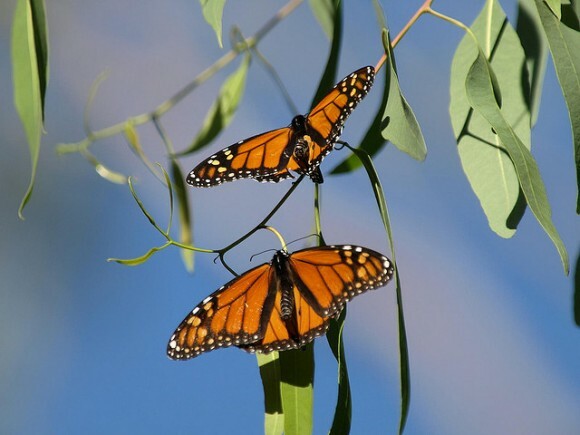 Monarch butterflies spend every winter in eucalyptus trees in a canyon at Natural Bridges State Beach. The canyon is a beautiful place to explore throughout the year. Monterey is a city of many California firsts — the first capital, printing press, newspaper, publicly funded school, public library, and theater. 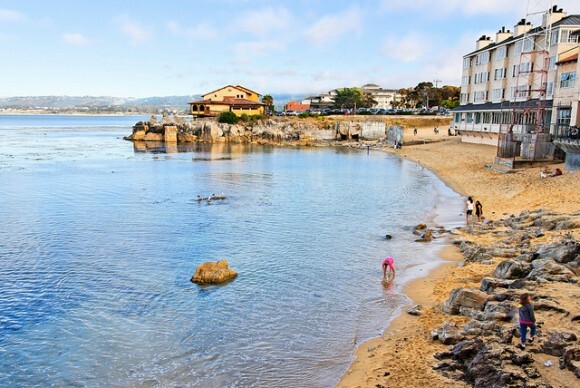 Located at the southern end of Monterey Bay, Monterey is a popular central California vacation destination. The Best Western Plus Beach Resort is the only hotel on the beach in Monterey. This reasonably priced, pet-friendly property is the perfect base for exploring the city’s many attractions. Enjoy dramatic views from Monterey Plaza Hotel and Spa at Cannery Row. Stay in a themed suite directly over the water. 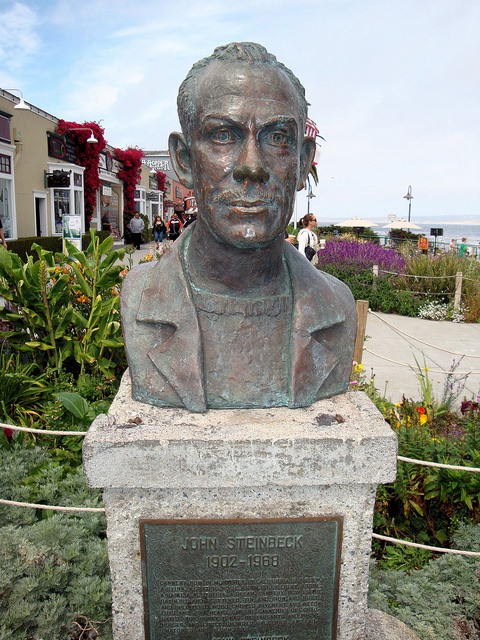 Cannery Row was the setting for two John Steinbeck novels: “Cannery Row” (1945) and “Sweet Thursday” (1954). “Cannery Row,” which takes place during the Great Depression of the 1930s and 1940s, is the story of the people living on Cannery Row, a street lined with sardine canneries. Visitors can find many shops and restaurants on present-day Cannery Row, some of them in the former cannery buildings. Monterey Bay Aquarium, located where Cannery Row meets the Pacific Ocean, is a public nonprofit aquarium founded in 1984 on the site of a former sardine cannery. The aquarium has more than 600 species of sea life on display, among them jelly fish, stingrays, squid, octopuses, and cuttlefishes. Visitors can watch aquarists feed and train sea otters, learn about the care and feeding of blackfooted penguins, and observe the open sea feeding of sardines, sharks, tuna, turtles, and other creatures. 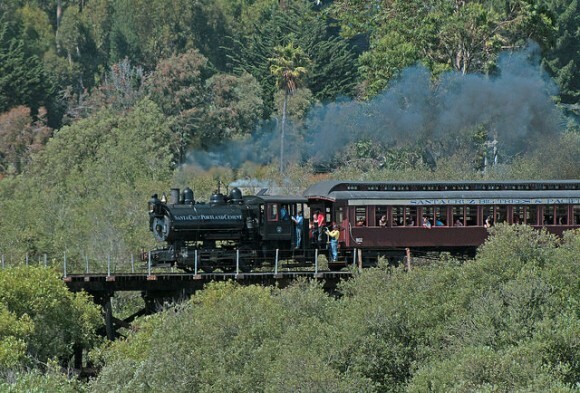 If you’ve made the drive between Santa Cruz and Monterey, did you drive clockwise (south) or counterclockwise (north)? What sights were your favorites along the route? Daisy Mariposa is a freelance travel writer who has worked with various clients, including Hipmunk. She holds occupational certificates in both travel management and international business, and has worked as a travel agent. Daisy has traveled to half the states in the U.S. and to more than 33 countries, island nations, and island dependencies. She is a Certified Specialty Travel Writer and Travel Copy Writer for one organization and holds Industry Elite status in Travel from another. If you’re interested in American history or understanding how this country’s roots, Cambridge, Massachusetts is an ideal place to explore. When it comes to the American Revolution, there are few cities in this country with a history as rich as the one Cambridge is willing to share. Every Fourth of July, the city puts together a fireworks show that is truly impressive. 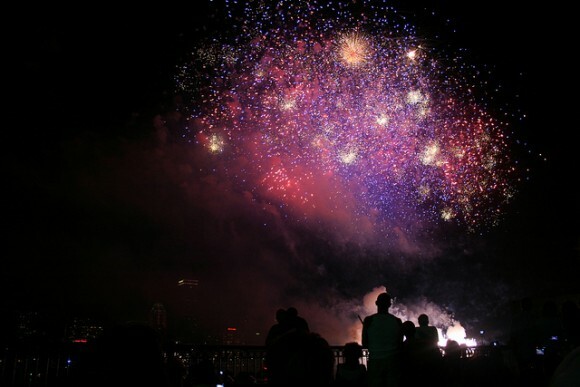 Barges anchored out in the Charles River are loaded with around 20,000 pounds of fireworks, and the Boston Pops Orchestra sets up in the Hatch Memorial Shell to play along with patriotic music. On the Cambridge side of the river, there are restrooms, concession stands, a great view of the fireworks, and speakers are in place so you can still hear the music. However, keep in the mind that this is a very popular event that brings around a half-million people to the area. Make sure you check with Hipmunk.com for cheap hotels in Cambridge before the big event. Late at night on April 18, 1775, Paul Revere rode through the Massachusetts countryside to warn the patriots that British troops were on their way. Today, you can follow a similar path on the Minuteman Bikeway. This 11-mile trail starts in Cambridge at Alewife Station and winds its way up to Bedford. Along the way, you’ll pass historic landmarks such as Tavern for the Museum of the British Redcoats, National Heritage Museum, and Hancock Clarke House, which was the last stop for Paul Revere. Situated in downtown Cambridge, Longfellow House – Washington’s Headquarters National Historic Site has sheltered two notable Americans. During the Siege of Boston, which lasted from July 1775 to April 1776, the house served as headquarters for George Washington. Then, in 1843, famous American poet Henry Longfellow purchased the house and lived there for almost 40 years. Now, the home is preserved as a memorial to Washington and Longfellow. Many of the original furnishings and artwork are on display, as well as over 10,000 books that were once owned by Longfellow. The house is also known for the amazing gardens at the rear of the property. You can walk along the small paths and view the more than 30 unique types of flowers planted around the gardens. Just over the Charles River is the 2.5-mile long Freedom Trail. 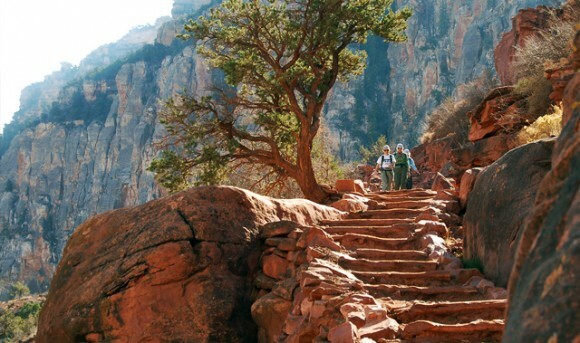 This self-guided path takes you to 16 different sites with significant historical influence. Along the way, you’ll see landmarks like the Old South Meeting House, where colonists organized the Boston Tea Party. You’ll also pass by Faneuil Hall, where Samuel Adams once stood and gave a speech encouraging independence. There are also tour guides in Cambridge who are happy to create a customized tour based entirely on which historical sites you would like to see. Are there any places of historical significance that you like to visit in Cambridge? If so, please feel free to share them in the comments below. Author Bio: Kristen McCalla is a writer and avid blogger who lives in St. Petersburg, Florida with her husband, cat, and dog. When she’s not writing on her blog, 31 Million Seconds, she enjoys traveling and exploring all over this beautiful country. Have you ever wondered what there is to do in Cleveland, Ohio? Need recommendation on how to find cheap Cleveland hotels and hot spots you should include in your places to visit? 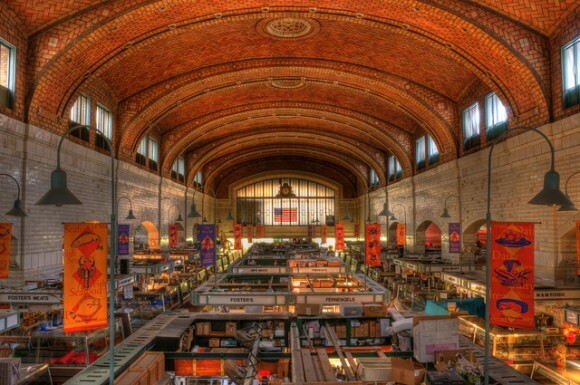 Put your walking shoes on and get ready to explore the colorful world of Cleveland’s oldest public market, Westside Market. This is a perfect location for restaurant lovers and culinary enthusiasts, surrounded by fresh and prepared foods of different ethnicities. When it comes to showing you the best that Westside Market has to offer, Hipmunk.com is your go-to site. 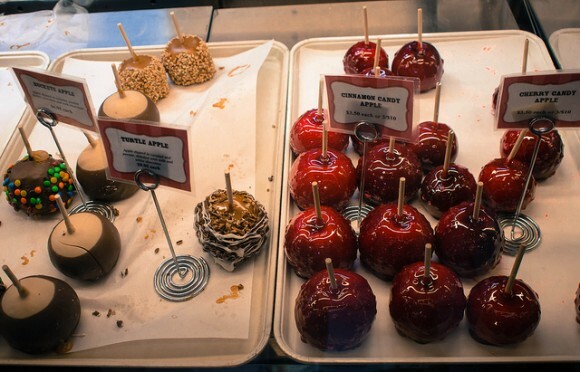 At Westside Market, individual vendors offer their own selection of harvests. At Marina’s Produce stand, you can find fresh items such as yucca, plantains, and chayota, while at Kim Se’s Cambodian Cuisine food stand, you’ll find freshly prepared daily award-winning entrees like authentic Cambodian sticky rice and spring rolls. For all-local produce, you should stop by Rooted in Cleveland’s stand. 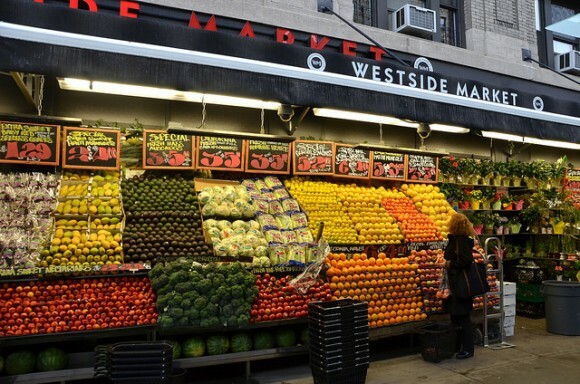 By visiting the vendors page on Westside Market’s website, you will be able to see what forms of payment are accepted at each individual stand. I’d recommend packing some cash, even though most stands accept major credit cards. Out of all the meat and seafood vendors at the market, it is hard to just choose one. For those that prepare marinated or smoked meats and seafood items, stop by Dionne’s Poultry, Kate’s Fish, and Czuchraj Meats. If you’re looking for unprepared and wild game types of meat and seafood, check out Kauffman Poultry, Dani’s Seafood, Tayse Meats. Have a refreshing locally fresh squeezed juice during your shopping excursion while shopping for fixings and more! 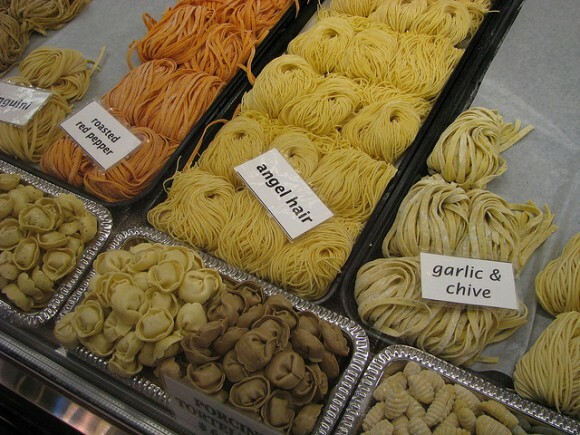 Westside Market includes specialty vendors for items such as freshly roasted coffee beans and florists, to freshly made pastas. You’re sure to pick up a few extra items for your kitchen. Stop by Urban Herbs and the Olive and the Grape for your last touches for your complete meal plan. Reward yourself with some dessert! If you want a lighter dessert option, grab some yogurt from Meister Foods. They also stock an impressive selection of artisan cheeses and spreads. Noted as “America’s Best Cupcakes” by TheDailyMeal.com, I think a visit to Grandma Campbell’s Cupcakes is in order. If you’re not planning to cook at all, no worries. Westside Market has a plethora of prepared food vendors where you can order to-go. Westside Market Cafe serves up breakfast and lunch, and you can order some Frickaccio’s Pizza for dinner. 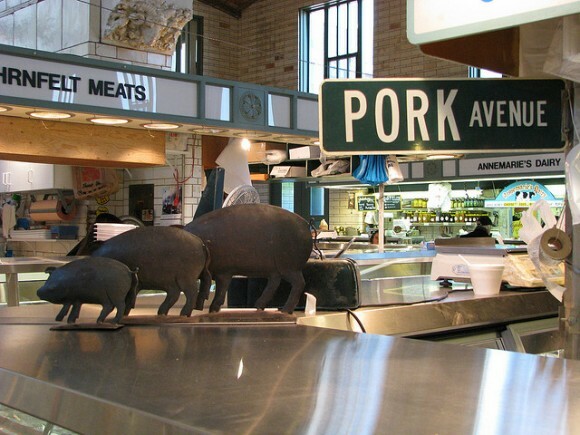 Whether you are in Cleveland for an adventure of the best local eats, or just to see the sights, Westside Market covers all the food options for you. Grab some fine foods for a meal and get a feel for the down-to-earth, Cleveland culture. Author Bio: Elaine is a writer who lives out her passion for cooking, culture, and travels through her personal lifestyle blog. You can find her whipping up the best home cooked meals with her family, or embracing solitude with a good read in hand. There are so many interesting places in Columbia, South Carolina to explore that you may not know which ones to visit on your next trip to the area. If you’re having trouble planning your stay, use this guide to pick a few of the best attractions to check out. Finlay Park is one of the area’s most visited parks. Its central location puts it near many shops, restaurants, and cheap hotels in Columbia. However, it’s not just convenience that makes this park so popular; it’s also visually stunning and considered one of the most beautiful parks in the area. There’s a large waterfall with a stream that runs into the park’s lake, two playgrounds, a café, plenty of picnic tables, and many walking paths. In the summer, the park is also home to free outdoor concerts, outdoor movies, and plenty of entertaining festivals and events. Situated less than a half-hour outside of Columbia, the Congaree National Park has the largest expanse of old growth hardwood forest in the southeastern United States. The Congaree and Wateree Rivers also flow through the park to create a beautiful ecosystem. If you want an easy walk to enjoy the beauty of the park, you can take the 2.4-mile Boardwalk Loop. This elevated walkway takes you through a unique swampy environment. Those looking for more of a challenge can hike the 11.1-mile King Snake Trail or tackle the 20-mile canoe trail on Cedar Creek. Located on an old shipping canal and just a few blocks from the Holiday Inn Express Hotel & Suites Columbia Downtown, the South Carolina State Museum is the largest museum in the southeastern part of the country. It’s housed in the old Columbia Mills Building, which it considers its largest artifact. When the mill opened in 1894 it was the only all-electric textile mill in the world, and today is on the National Register of Historic Places. Popular exhibits in the museum include a collection of historic astronomical equipment and telescopes, more than 45,000 objects related to the history of the state, and a terrifyingly huge life-size replica of Megalodon. If you’re planning a trip to Columbia, you must make the Riverbanks Zoo and Garden one of your stops. This 170-acre complex is an aquarium, zoo, and botanical garden all in one place. Over 2,000 animals call the zoo home including a 55,000-gallon Pacific coral reef tank that has eels, sharks, and other saltwater fish, a 2-acre replica of the African savanna with ostriches, giraffes, and zebras, and an Australian exhibit with lorikeets, wallabies, red kangaroos, and koalas. The botanical garden takes up 70 acres and has over 4,200 species of exotic and native plants. Themed gardens include a rose garden, woodland walk, and Asian garden. If you’re planning a trip to Columbia, make sure you check out Hipmunk’s Columbia hotels page for more information about the city. If you’ve been there before, please share some of your favorite places around the city in the comments. Author Bio: Kristen McCalla is a Hipmunk writer and avid blogger who lives in St. Petersburg, Florida with her husband, cat, and dog. When she’s not writing on her blog, 31 Million Seconds, she enjoys traveling and exploring all over this beautiful country.